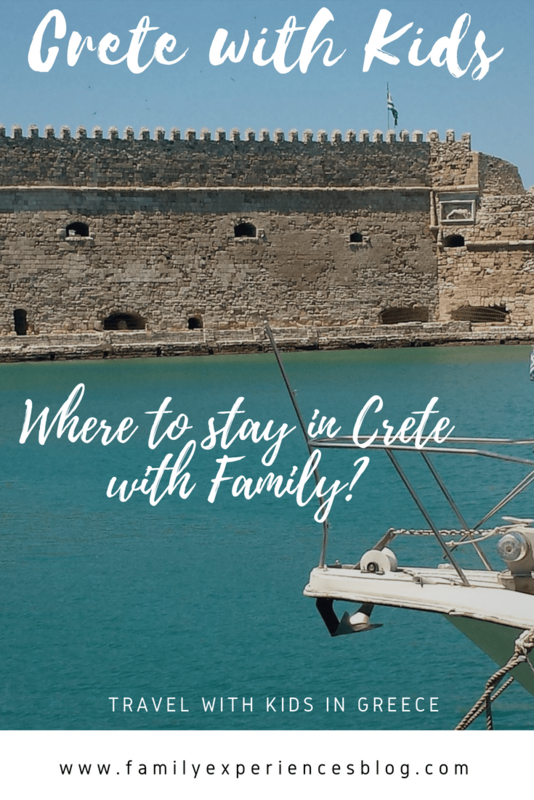 Crete is a great island for family vacations. Due to its size, history, and landscape, there is something interesting to do for everyone. 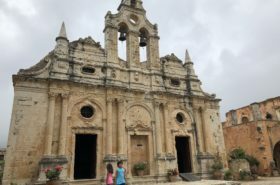 Anastasia in Crete is sharing her family's favorite places but first, let's take a look at this largest island in Greece. Crete with kids is great. 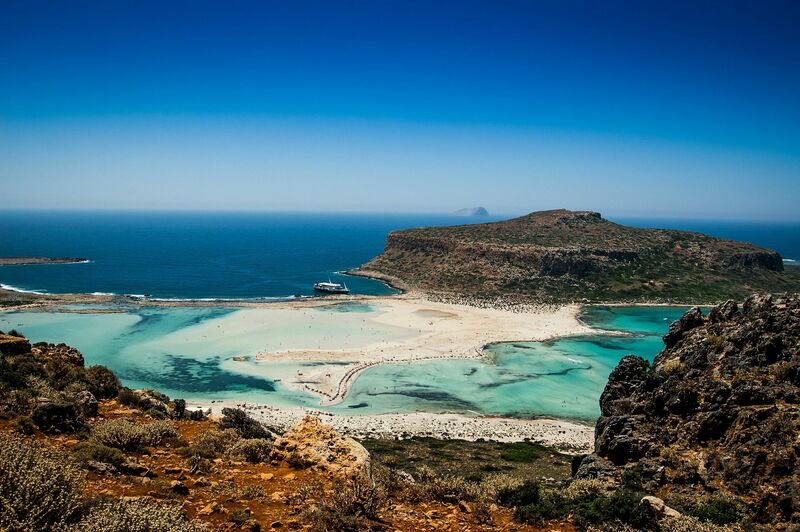 Crete is Greece’s largest island and one of the most popular for families. Crete is a very versatile island, located between Europe, Africa and Asia it has influences from all three continents. The island also has a very rich culture and amazing scenery. The Cretans are world famous for their hospitality and children are welcome everywhere in Crete. I was lucky enough to spend many summers and winters on this amazing island and I know it very well. Working as a tour guide gave me the opportunity to travel extensively around the entire island and visit its many important monuments and attractions. My wonderful friends there made sure I also found all the hidden gems, tropical beaches, pretty villages and green forests. Crete is one of the first developed tourist destinations in Greece and has therefore well organized seaside resorts, elongated sandy beaches, and beautiful towns. The largest towns are Chania and Rethymnon, located on the west side of Crete. Crete’s only city and capital is Heraklion, located in the east part of the island. Heraklion is the fifth largest city in Greece. The interior and the south coast of Crete are less touristy. Here you will find forests, quiet villages, abandoned squares and it is suitable for outdoor and nature holidays. Heraklion and the resorts nearby are very suitable for family summer vacations with (young) children. It is easy to fly from any European airport directly to Heraklion. Transfers from the airport to the hotels nearby are short. Heraklion was the first developed tourist area on Crete. That is why it offers many different options for kids in all age categories and for all kinds of budgets. All resorts are excellent organized; there are several medical centers and many (all inclusive) (luxury) family hotels with animation and kids clubs. There are many water parks, adventure – and theme parks around Heraklion. Did you know that Heraklion hosts one of the largest aquariums in Europe? There is even a Dinosaur park! The organized beaches in Heraklion are sandy and the sea is calm and shallow. Inside the city, there are museums and historic buildings to discover with older children. 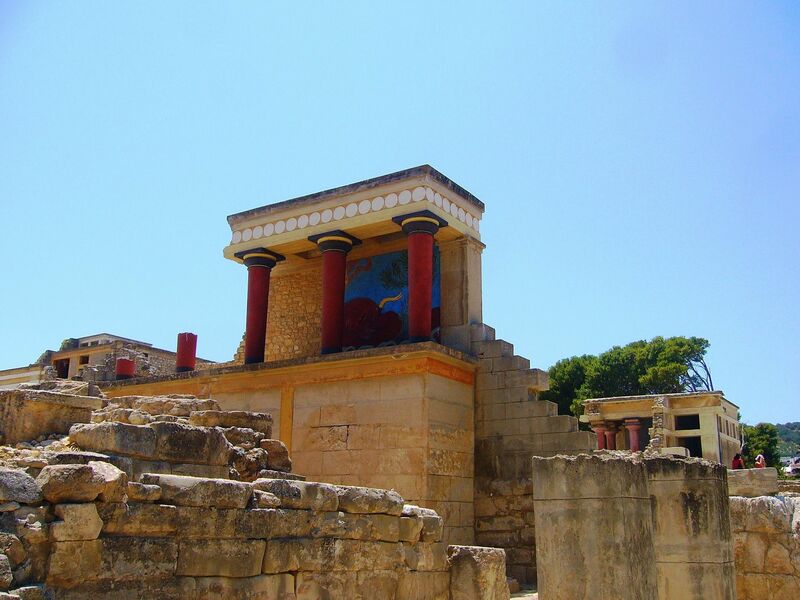 A visit to the archeological site of the ancient Minoan palace in Knossos cannot be missed. Finally, Heraklion is a great starting point for many different types of outdoor excursions; the area offers mountains, gorges, caves, horseback riding and mountain biking. 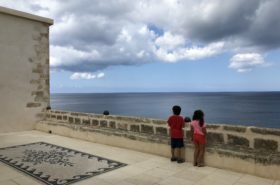 In 2017 I reviewed a great family-friendly resort just outside of Heraklion in the village of Agia Pelagia. My review can be found under Out-of-the-blue-capsis-elite-resort-luxury-family-and-spa-stay. The town of Rethymnon is a pretty seaside resort in the North West of Crete, between the airports of Chania and Heraklion. It has a nice long, slowly descending sandy beaches, a cozy Venetian harbor with terraces, a boulevard with a wide variety of excellent fish restaurants and beautiful views over the sea. Rethymnon is highly appreciated by families. There is no airport in Rethymnon but during the summer seasons, there are charter airlines and low-cost airlines that fly directly to the international airports of Heraklion and Chania. Travel time from Chania airport to Rethymnon is approximately one hour. From Heraklion in takes a bit longer. Rethymnon is a relatively small town therefore easy to move around with children on foot or by bicycle. There is also a good public bus and taxi network connecting the hotels located outside of the town. Parking in Rethymnon is quite difficult. There are public cheap parking lots but these are very busy during the summer. Rethymnon offers a wide range of hotels and apartments, many are located a few kilometers outside the city. These are the best hotels for families. There are also two campsites. Strolling around the town is very pleasant. There is an archaeological museum as well as Venetian fortress walls, mosques, pretty chapels and old houses. 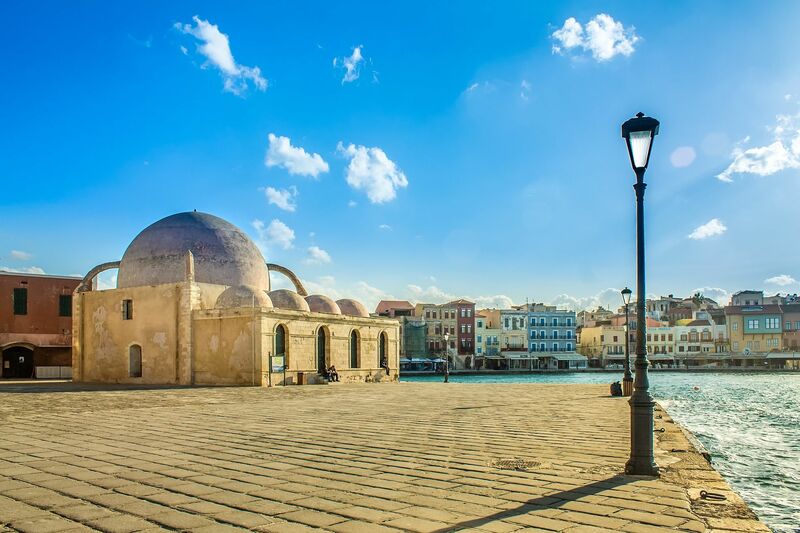 Due to its location, Rethymno is a great starting point for an excursion around Crete. Certainly visit Kournas Lake, Préveli Beach, and Frangokástello. Older children can hike into the Imbros Gorge. Chania is the most western town in Crete and considered the most beautiful city in Greece. 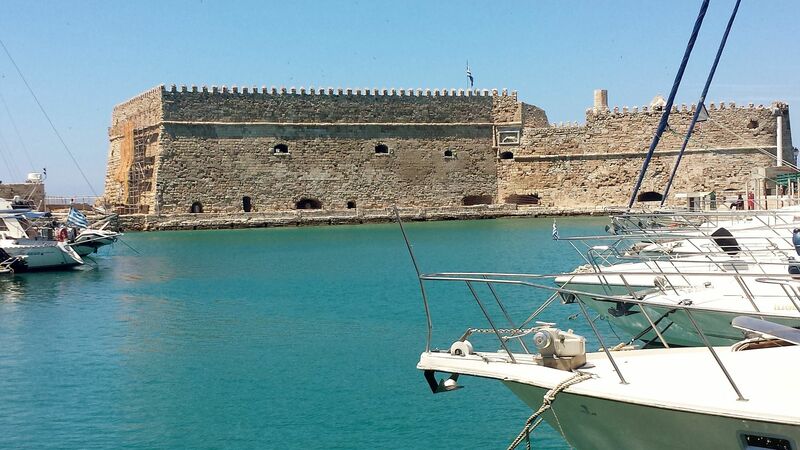 It is after Heraklion the largest city of Crete. You can reach Chania by ferry boat and plane. Chania has its own international airport and big port. The long sandy beaches on the northern coast of Crete run slowly into the sea. The villages here on the west side of Chania are very organized and offer accommodation and entertainment in all categories. They are all organized to the needs of families. Anastasia recently wrote about the famous Falasarna beach and the sandy beach in her neighbourhood called Agii Apostoli in Chania You can combine a day at the beach with a stroll into Chania city in the evening. The old harbor and the street around it are a car-free zone (pictured above this post). You will find cozy shops and atmospheric restaurants. For children, there is a city park with a small zoo and a playground. You can also visit the market hall, with stalls offering everything from colorful food to children’s toys. Chania is also the starting point of a visit to the famous gorge of Samaria. This is a must-do excursion suitable for older children. Young children will enjoy a visit to the tropical white beaches of Elafonissi en Gramvoussa or a boat trip in Suda Bay around the historic Akrotiri peninsula.